We've moved to the Click2Sell.eu network and now have 85% commissions! Earn 85% or up to $78.34 Per Sale Promoting The Top Flight Simulator Game On Click2Sell! Why Join The Affiliate Area? Simply put, FlightProSim is the Top flight simulator on Click2Sell. We offer more consistent and higher ROI than ANY other similar offer with a bonus of a professionally created sales letter + an autoresponder series to capture non buyers + a top design. This means it coverts better! A screenshot of just a few of our 1000's of affiliates. This is why we are the top Flight Sim on Click2Sell! This is 1 full unchanged page showing what YOU could do! You now know FlightProSim converts and that you can make some SERIOUS money. Click here to get the full details >> . If you are new to Flight Pro Sim and wish to become an affiliate, please complete the affiliate application form below. An affiliate simply advertises a product and is paid a commission on every sale that is generated from that advertising. FlightProSim is an in demand product simulators and games are always very popular. FlightProSim offers an affordable and versatile solution to the often over priced and bloated games currently available on the market. How large is the target market? There is a huge target market available. In the members area we give you keyword lists that have thousands of hits per day. Imagine just getting a fraction of that traffic and the money that you will make. What payment processor is used? Have a look at our payment page. You will see ALL payments are handled by our 3rd party payment processor, Click2Sell. As we only use Click2Sell, you receive credit for EVERY sale you make. This is also not hard coded into the page. The customer is sent by a redirect script so users CAN NOT simply use their own affiliate ID to get a sale. Click2Sell is the industry leader in digital content payment processing and managing. They can also boast that they pay their clients on time, every time and are not a 'fly by night' scheme as they have have been in business for over 10 years. In this time they have paid out over $1 billion to people like you. They now also also have weekly payout's! Why did you choose Click2Sell? We choose Click2Sell as they have a sophisticated affiliate program and handle all the payment processing and affiliate payout's in house. They are a reputable 3rd party so have no reason to skim, or steal affiliate or our own payout's. It is also 100% free for you to join. How do you know if I send someone to your site? You need to use a special link, called a HOP Link, to promote FlightProSim. Use this hope link for every person you refer to us and you will be automatically credited with that referral. This tracking code lasts for 60 days. How long does this Hop Link last for? After you make a referral, you will earn a commission if the customer purchases any product from that site up to 60 days later. We also have a 10 series auto responder on our site to do more selling for you. How much do I receive for each copy I sell? This product is in demand as every day there are thousands of people actively looking for this type of software. As far as how much you can earn, the sky is the limit. 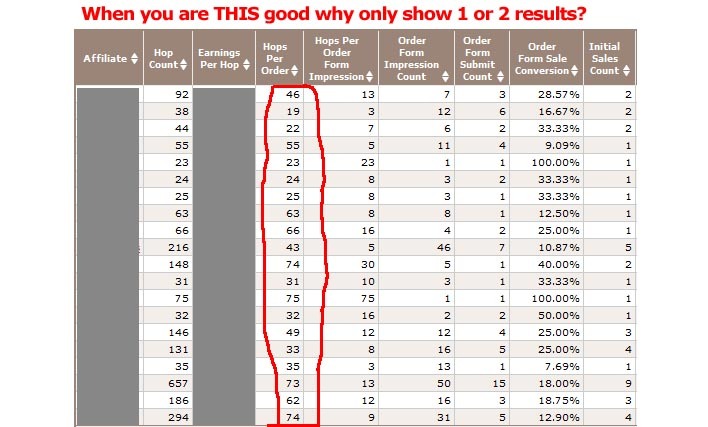 To give you an idea have a look at the table below to see how much you can really make. Get your free login now. Why should I promote FlightProSim? You get an industry leading 85% for EVERY copy of FlightProSim you sell. The target market is huge, the software works great and is always in demand. Why do you need affiliates to promote FlightProSim? FlightProSim is in such a high demand niche that we simply cannot advertise and reach every person. This is why we need you. We want you to succeed and continue to promote FlightProSim. This is why we pay you 85% of every sale. What's is the Affiliate Area? Don't have a Click2Sell ID? Get one now, 100% free for you to join. To receive your free affiliate details a valid email address is required. When you sign up to the FlightProSim Click2Sell affiliate program you must abide by the terms and conditions of the Click2Sell Client Contract. You can view this Contract in full here. As a potential affiliate you confirm that you have read, reviewed and understood all relevant legislation and agree to advertise FlightProSim lawfully and to comply fully with them. This includes the FTC's "Guides Concerning the Use of Endorsements and Testimonials in Advertising"
Similarily if you have a web site that you use to promote any FlightProSim product then you cannot have trademarked terms in the url. For all all advertising material, including articles, videos and images, you agree not to use / modify any work that is protected by another entities copyright. If you are using promotional copy of any kind, including but not limited to Google Adwords advertising, you cannot use derogatory words and phrases in that promotional text. This includes, but is not limited to, words and phrases like "scam", "rip-off", etc. You agree to release, indemnify and keep indemnified FlightProSim and all their affiliated companies from and against all actions, claims, costs (including legal costs and expenses), losses, proceedings, damages, liabilities, or demands suffered or incurred by us to any person arising out of or in connection with your failure to comply with these terms and conditions.